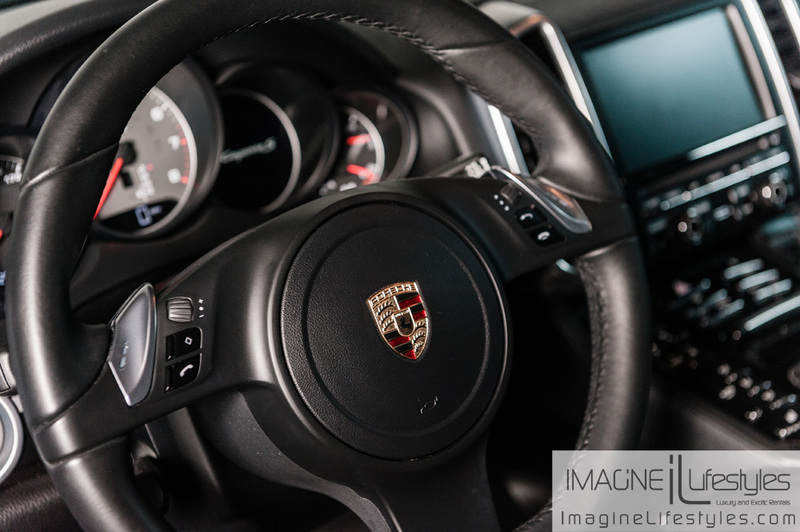 The Porsche Cayenne S Hybrid rental New York offers plenty of space and the appeal of a luxury SUV rental, paired with sports car style performance. This exotic SUV rental is extremely versatile, suitable for a business trip or family vacation. 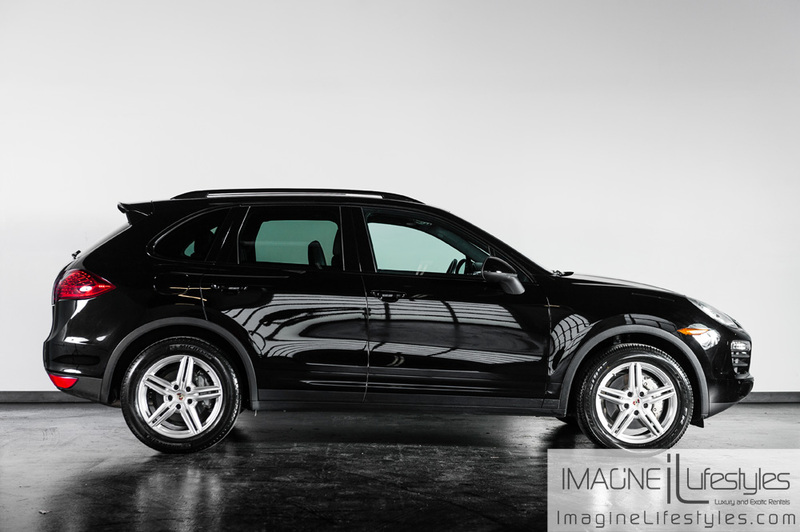 A Supercharged V6, 333 HP, 325 lb.-ft. torque, Electric motor, 47 HP, 428 lb.-ft. torque powers the Porsche Cayenne S Hybrid. The V6 engine of the Cayenne S hybrid has a parallel full hybrid drive system for an unbelievably smooth ride, which is important should you and your crew fall victim to the famous New York traffic! Because the Porsche SUV rental shares the same front-end design as the 911 Turbo, you may be the cause of the traffic jam! Larger air intakes and horizontal turn signals and parking lights are the main aesthetic differences between the Cayenne and Turbo models, and two-plane spoiler is offered on the Cayenne SUV rental as a no-cost option. 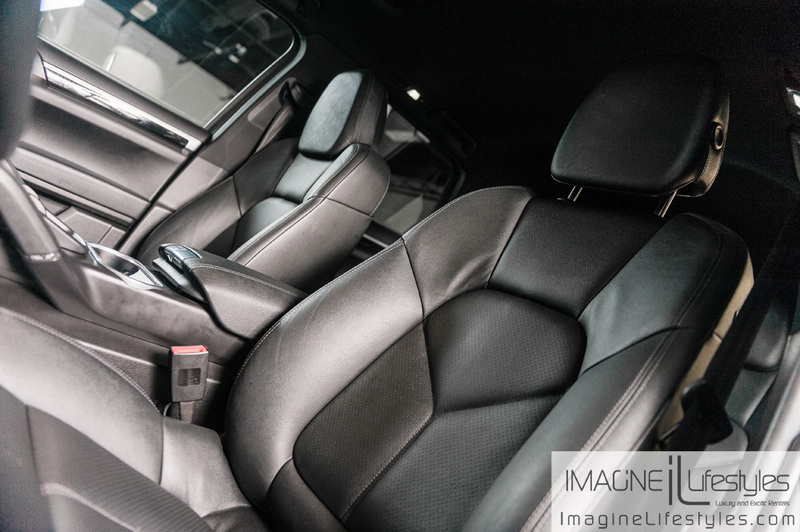 Sport seats and luxurious Alcantara inserts greet passengers inside this exotic SUV rental. The front seats are fully customizable, with 12-way adjustable power and memory settings. Aluminum trim and stainless steel doorsills with Porsche Cayanne logos are prominent features that complete the luxury look inside the Cayenne. 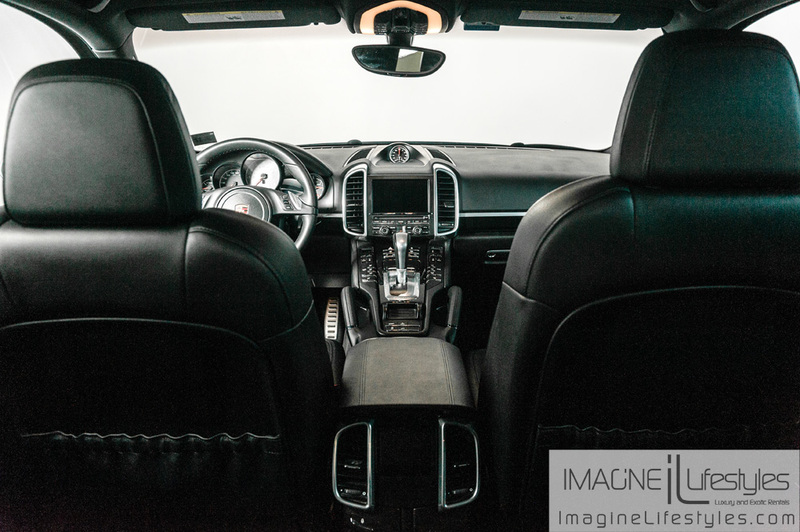 The new Porsche Cayenne rental comes equipped with standard oversized 19-inch rims, black monochrome door handles, window trim and pillars, body-color side skirts, red brake calipers, navigation and all modern amenities. 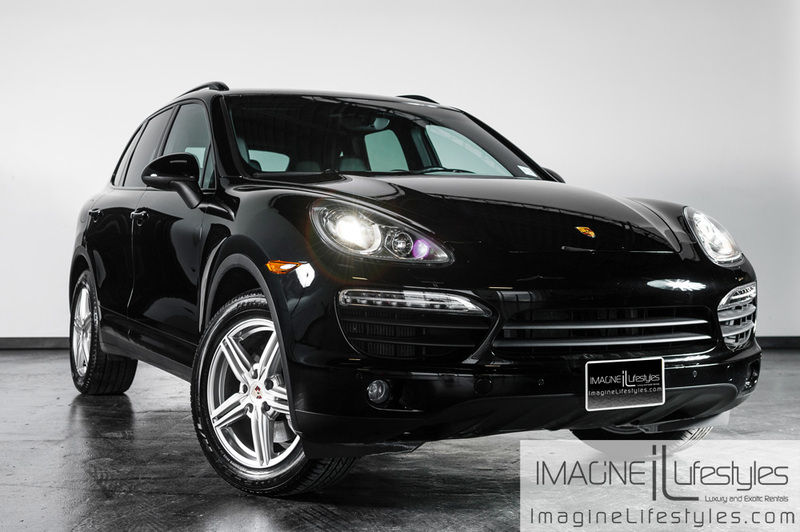 Take advantage of a stunning Porsche Cayenne SUV rental next time you are in New York. Do not forget that we have luxury SUV rentals available in Los Angeles, CA or New York, NY with a free quote.